Low temperature fishmeal, soluble Krill Protein extract, Krill meal, Fermented shrimp paste and Brewers yeast give this premium boilie a fantastic food and attractor profile. 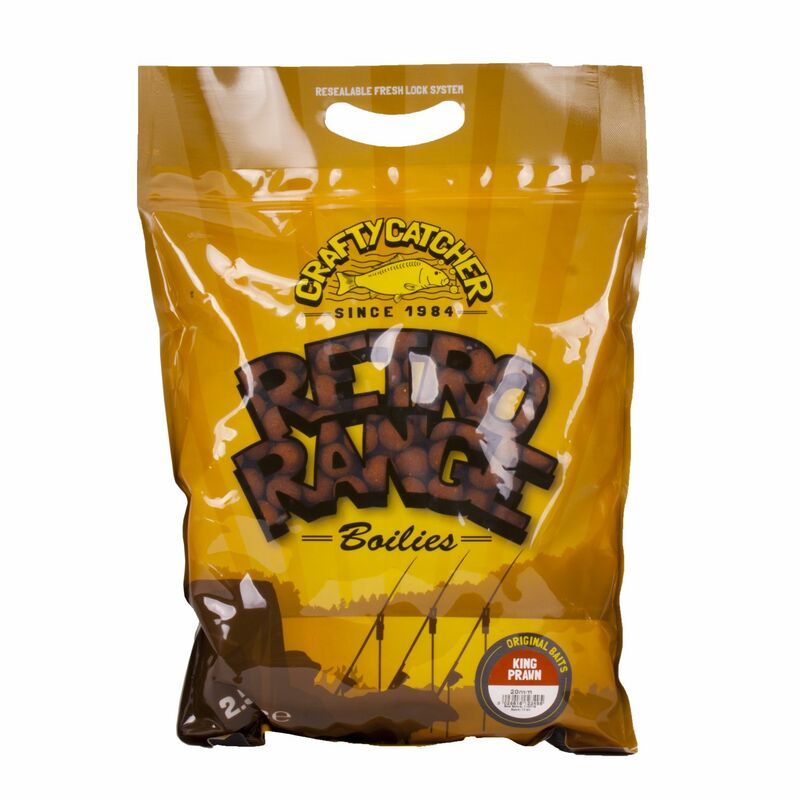 Freshly rolled with optimum levels of milk proteins and ground bird foods this bait is a proven big fish catcher. We have sourced the original Prawn flavour from the mid eighties that was responsible for multiple catches of big fish all over Europe and included some proper lumps from Cassien and Salagou. 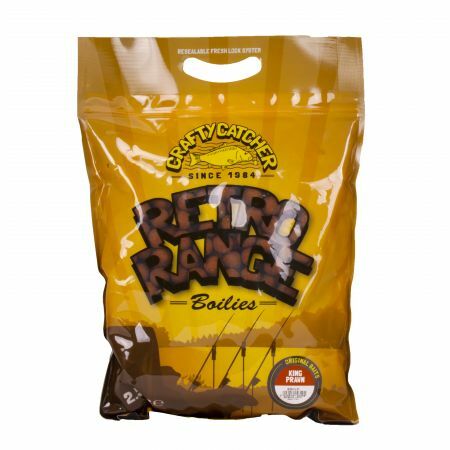 Write a review about "Retro Range King Prawn | Boilies | 20mm | 2.5kg"
We want to know your opinion! Write a review about the product “Retro Range King Prawn | Boilies | 20mm | 2.5kg”.